Professor Emeritus Richard R. Randolph is recognized through this award for his invaluable role as a founding faculty member and former chair of the Anthropology Department and his leadership in initiating the department's graduate program. 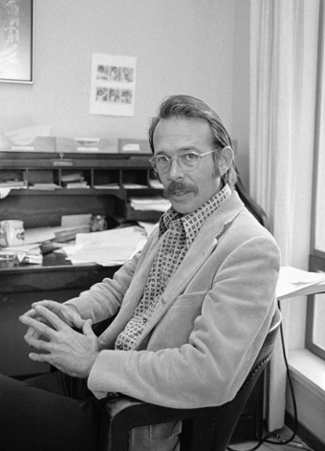 He also was a founding faculty member of UC Santa Cruz's first college, Cowell College, in 1965. Dr. Randolph has done trailblazing work addressing cultural theory in all its aspects, seeking to create a non-reductive theory of culture that respects the role of politics and economics but contains no a priori privileging of any particular segment of cultural life. Dr. Randolph's ethnographic field research is in two distinct areas. One is the Bedouin Arabs in Israel and the radical transformation of their lives in the last forty years, including their relationship to a resurgent Islam and to the Israeli state, and the meaning of gender differences in Bedouin culture. Dr. Randolph's second area of historical and cultural study concerns the Americanization of California and the symbolic architecture of the state. He has examined conceptions of authority, the law, and the dominance of white, American, and usually Protestant values through the architecture of California's county courthouses. Dr. Randolph's teaching specialties are in theory, the Middle East, California, literature, anthropology, and history. His areas of research are the Middle East, Islam, Bedouin Arabs, and California. His fieldwork has been primarily in Mexico and the Middle East. Established in 1996, the Richard Randolph Award, encourages and rewards current graduate students doing outstanding field research in anthropology. This is a merit-based award open to graduate students in any concentration or track within anthropology. Each year, a publishable-quality essay based on a student's original field research will be evaluated based on use of the American Anthropological Association guidelines by a panel consisting of three anthropology graduate students and one faculty member appointed by the Anthropology Department chair. In choosing a winner, the panel will also look at the overall quality, rigor, and originality of the field research described; perceptiveness of observations; and demonstration of superior fieldwork techniques. For more information about this award, please contact graduate coordinator Naomi Cholst in the Anthropology Department by telephone (831) 459-3588, email or visit the department's website. Be sure to include the "Richard Randolph Award" in the memo line.